Composite Material Fabricator providing finishing, sourcing , assembly and material storage. ACP Composites Composite Material Fabricator providing finishing, sourcing , assembly and material storage. ACP Composites. A one-stop composite shop giving you access to the pre and post production services needed to bring your project to life. When ACP Composites takes on a project, we know just how important every step of the production process is for your project. From preparing the project to adding final touches, you can be assured that your product will be handled with the utmost quality and expertise. State-of-the-art 5, 4 and 3 Axis CNC machining centers, operated by skilled technicians, deliver a range of machining, milling and routing capabilities with accuracy, speed and ease. Save time and money by letting ACP Composites cut and kit your composite materials. Our 60 in. x 20 ft. computerized ply cutter can pre-cut and individually label a variety of materials including carbon fiber and fiberglass prepregs. 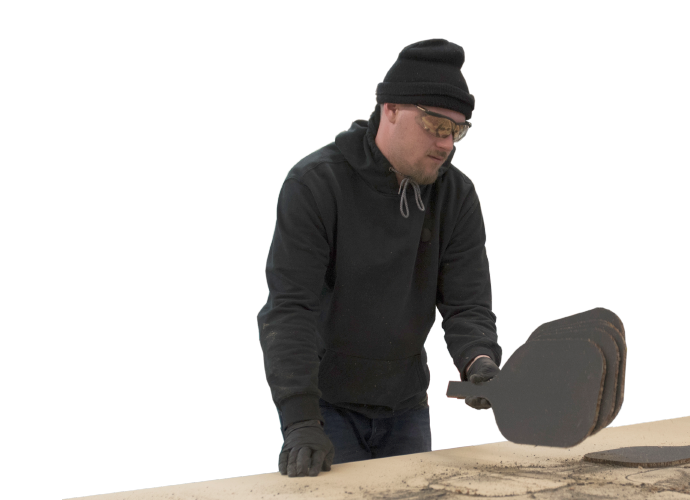 By nesting multiple jobs, we can maximize material utilization and minimize your material costs. For straight ply cuts we utilize a heavy-duty material sheeter. Additionally, we rewind and slit rolls of material using a Fabric Roll Slitter + Rewinder. 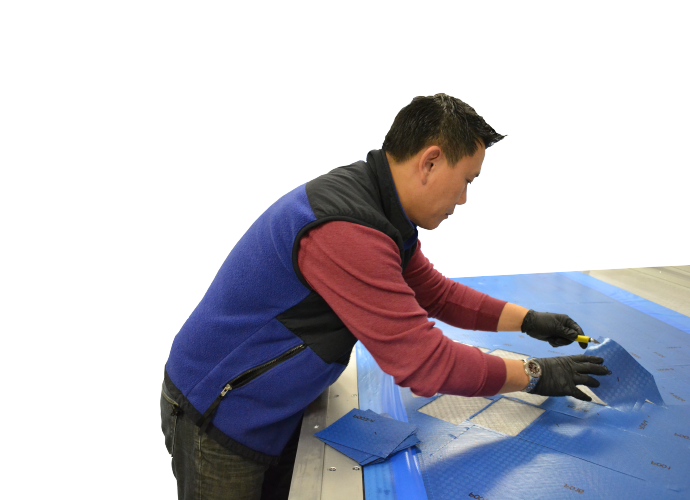 ACP Composites’ full complement of assembly services includes component sourcing, precision bonding, hardware installation and assembly of multi-piece composite parts. Our strong supplier relationships allow us to source and customize high-quality components in order to meet your project specifications, setting us apart as your sourcing specialist. Materials are properly stored in environmentally-controlled areas and handled with extreme care. Temperature-sensitive materials such as prepregs and film adhesives are kept in our on-site freezers, which are equipped with real-time temperature tracking recorders. We closely monitor and control out-times for our freezer materials to extend shelf life.